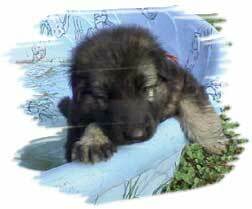 I am soon to be adopting a German Shepherd puppy. As it gets older I was wanting to teach it to play with a hard arm sleeve that it can bite down on without hurting me or the dog. I believe I could train it only bite the hard arm and nothing else through strict rules about biting and playing with the hard arm. The hard arm will be colored Bright Yellow and Green to give it clear distinction. My question is, is it possible to teach, and is it easy for the dog to accept and understand that only the arm is allowed to be bitten? I don't plan on letting the dog get over aggressive with it's play using the hard arm, keeping the dog under my authority and control will be enforced without any leniency. I also know I cant let the dog win in a play fight, as I would hinder my status as the alpha. 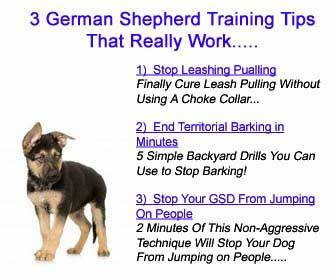 Total German Shepherd: Hi Chris, you didn't mention the age of the GSD puppy or why you wanted to teach the dog to do this in the first place but here is what I would suggest to you about your bite work question. First of all I would highly encourage you to seriously get some advice from local Schutzhund clubs in your area as this is a great part of the training they do with their members dogs. Teaching your dog this time of bite work is best done with people who have experience with it and I can think of no one better than a Schutzhund trainer. Here is the address for the United Schutzhund Clubs of America - please check them out. Comments for Is it possible to train a GSD play bite a hard arm sleeve. I haven't pick out a GSD yet, I just know that in a few months I should be getting one.